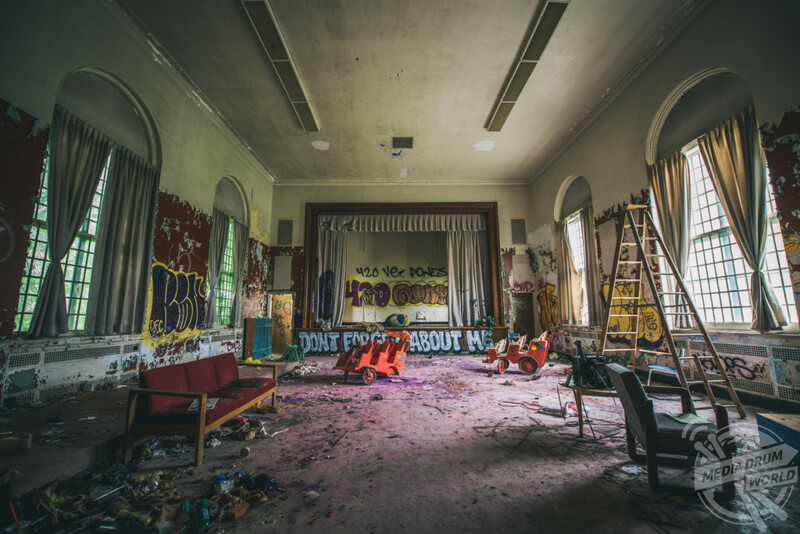 HAUNTING images reveal a last glimpse into the crumbling remains of the American psychiatric hospital that once housed more than nine-thousand patients and is thought to have once used electroshock and lobotomies to treat mentally ill patients. 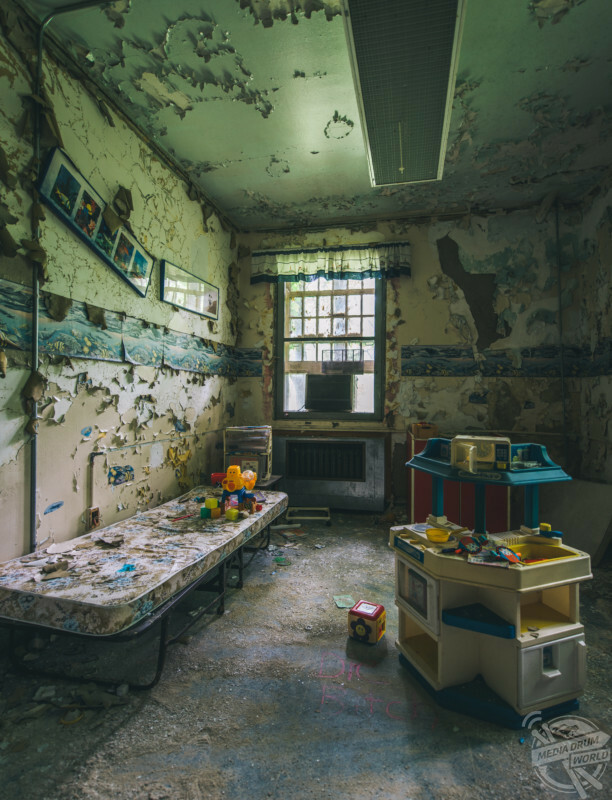 Many of the chilling shots that were taken in the hospital’s children’s ward show toys and a bike strewn down an empty corridor, graffitied classrooms and what looks like a bedroom with a kitchen playset left behind. 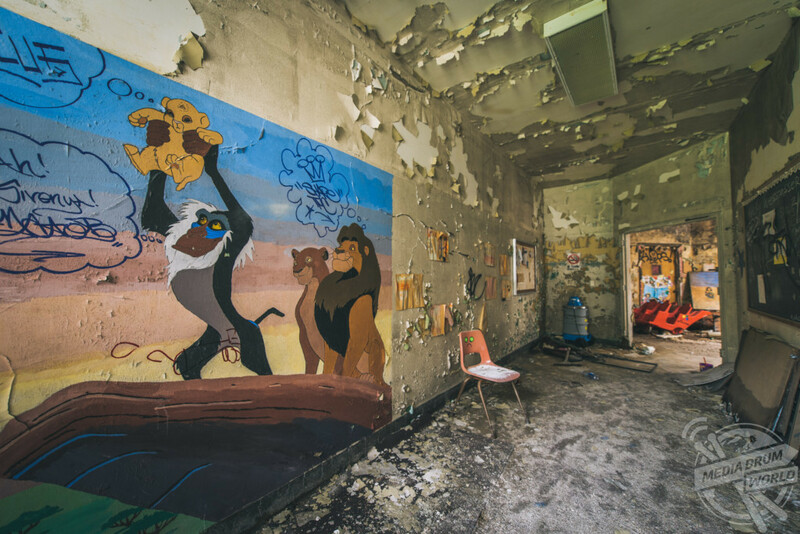 Other pictures show defaced Lion King and Batman murals, a lone treatment chair and even an abandoned bowling alley with balls still lined up ready to be bowled. 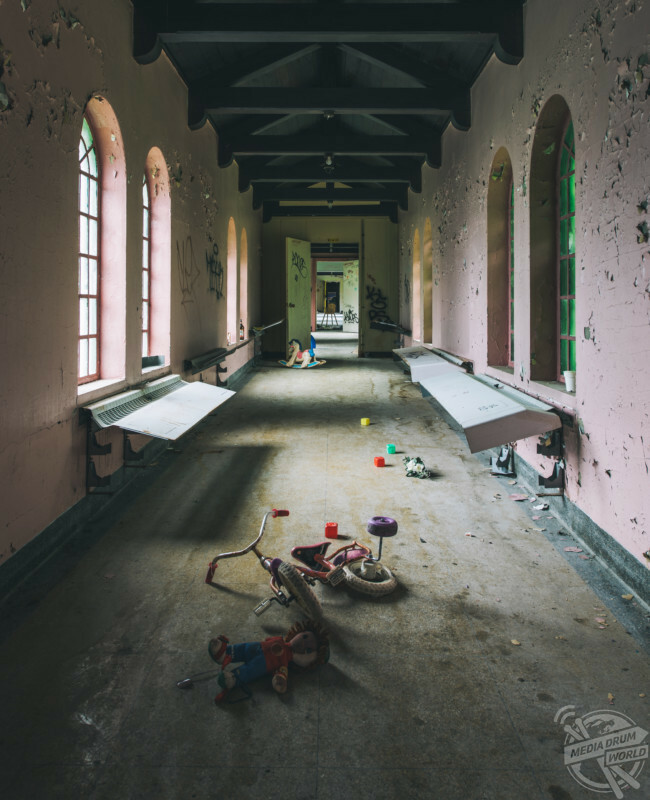 The snaps were taken at Rockland Psychiatric Centre in Orangeburg, New York, USA by a photographer known only as Bullet using a Nikon D7000 camera fitted with a Sigma lens. “After taking a trip up to New York, a friend of mine told me about this hospital. I was quite interested in it after reading the history about it,” said Bullet. 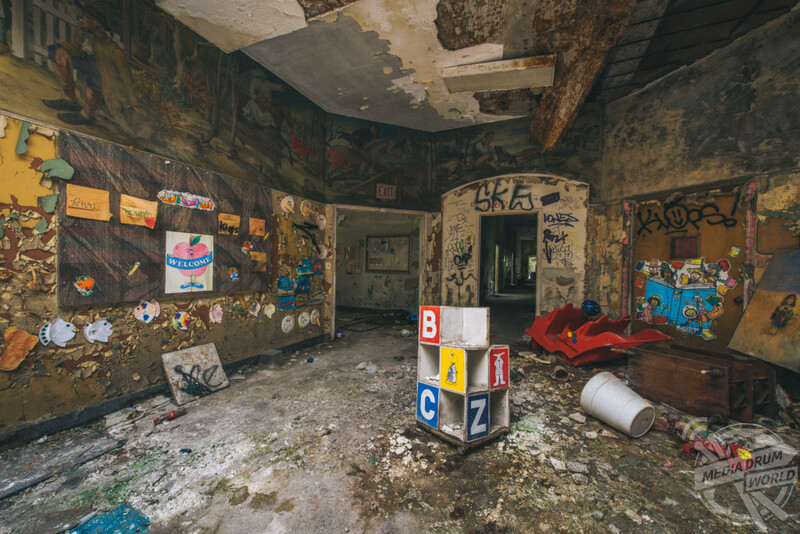 “Most of the photos here are from the children’s ward. 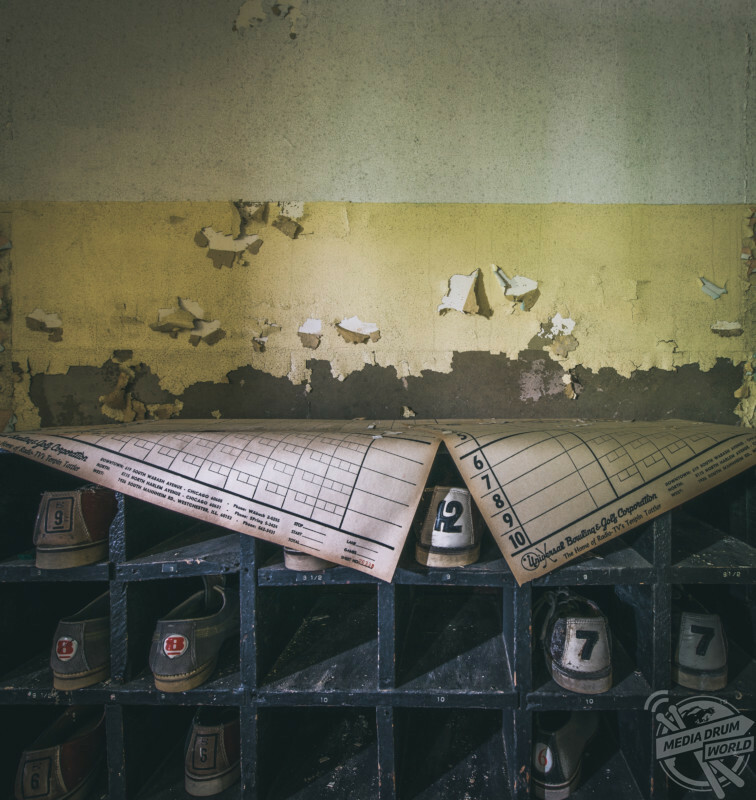 The bowling alley was located in the basement of the theatre and auditorium and was probably used by both employees and patients as a sort of recreation centre. “Rockland began insulin shock therapy in 1937, followed by electroshock treatment and then lobotomies. Rockland hospital was established from 1927 and at its peak in 1959 had more than 9000 patients and 2000 members of staff. 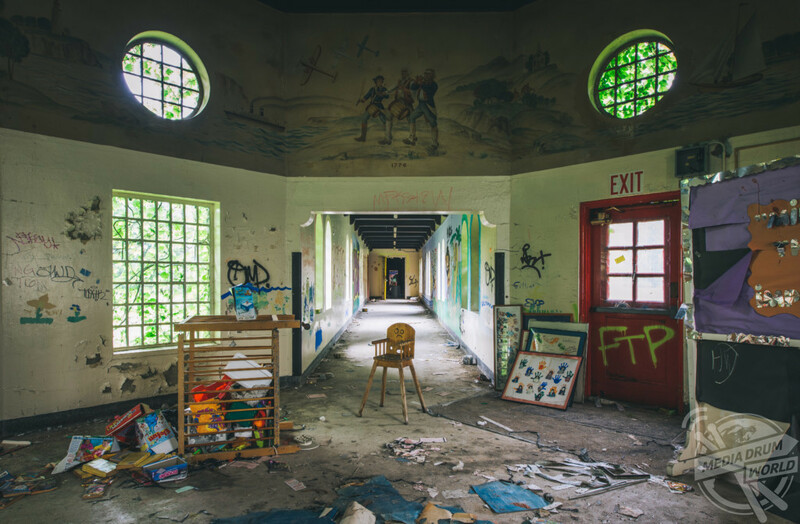 From the 1970s, the hospital operated on a smaller scale and many of the buildings built in the thirties and forties were abandoned – these buildings are now being demolished to make for a JPMorgan Chase data centre. 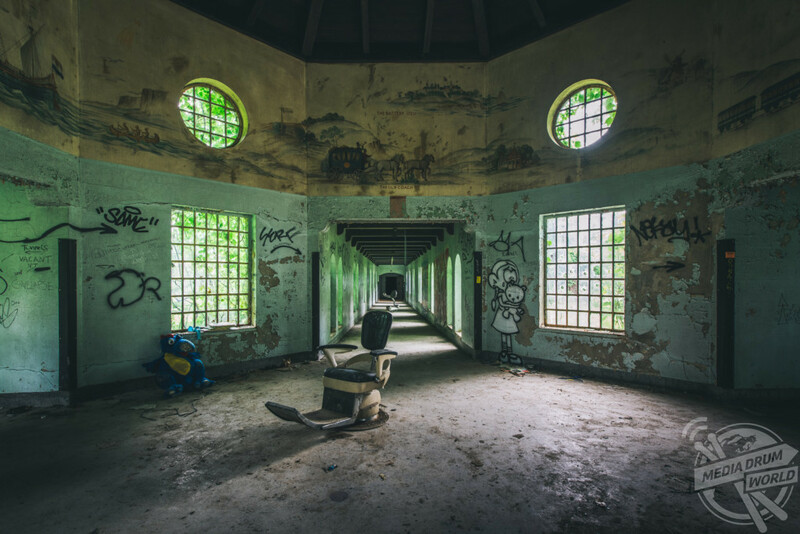 Part of the hospital is still in operation today with it being recommended for patients with manic depression and severe schizophrenia. Bullet explained what he likes most about exploring abandoned places. “I’m able to visit and see places and things that others don’t know even exist,” he said. “Many people will view these as cool or spooky and wanting to go here themselves, but I hope they take a moment to recognise the history behind them and read up on it.